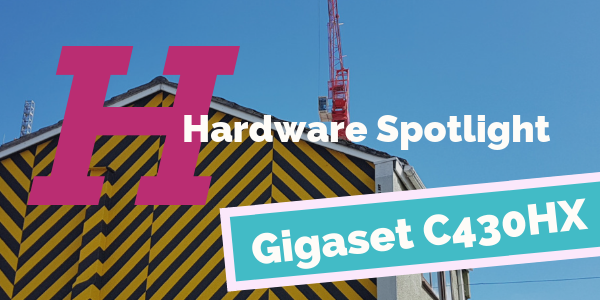 Although small, the Gigaset C430HX is undoubtedly mighty. Known for their bespoke DETC phones, Gigaset has done it again with the stunning C430HX. Perfect for users on the go, the C430HX boasts a large 1.8-inch colour display and an equally larger phonebook. Users can choose from two background colour schemes for the 1.8-inch colour display. The model also gives users the ability to personalise their device with a personal screensaver, an individual sound profile and special ringtones for selected contacts. The C430HX’s phonebook space is certainly to be marvelled at, the small but mighty device holds up to 150 contacts, each with full name and up to 3 numbers. Users can also mark certain contacts as “VIPs” and make sure you remember their special occasions by setting a convenient reminder. The device gives you the option of a day and night switch that mutes the ringtone for times when quiet is vital. 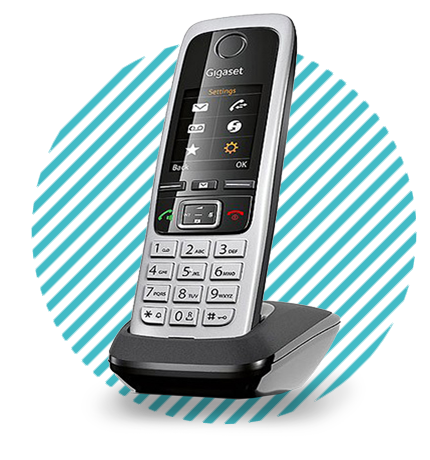 Chatterboxes of the business world fear not, with a talk time of up to 14 hours, the Gigaset C430HX won’t let you down. The reliable cordless phone technology allows users to carry the handset throughout their home without worrying about battery power. The phone’s energy-efficient power supply means that the Gigaset C430HX is easier on the environment.